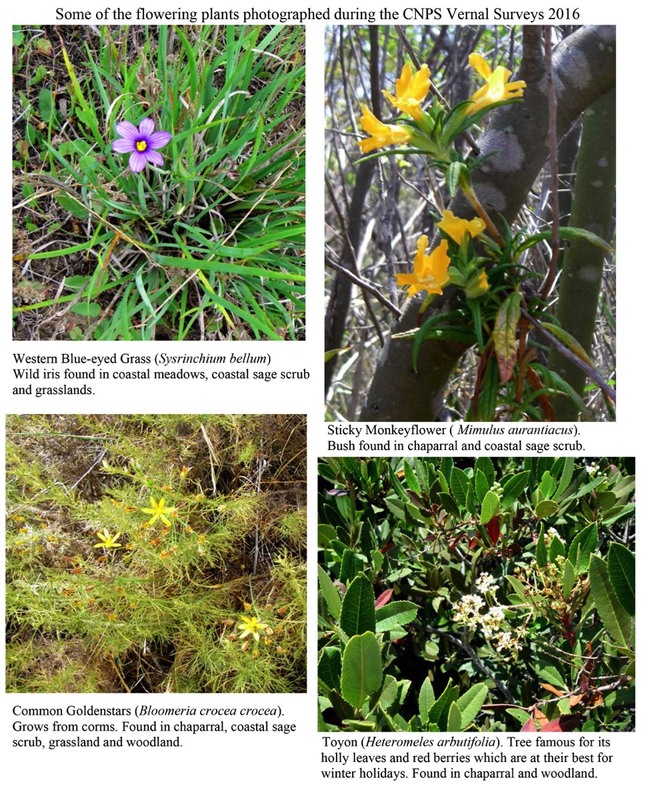 Following is a report conducted by the California Native Plant Society regarding native plants and invasive plants found at the Bluffs Open Space Preserve. 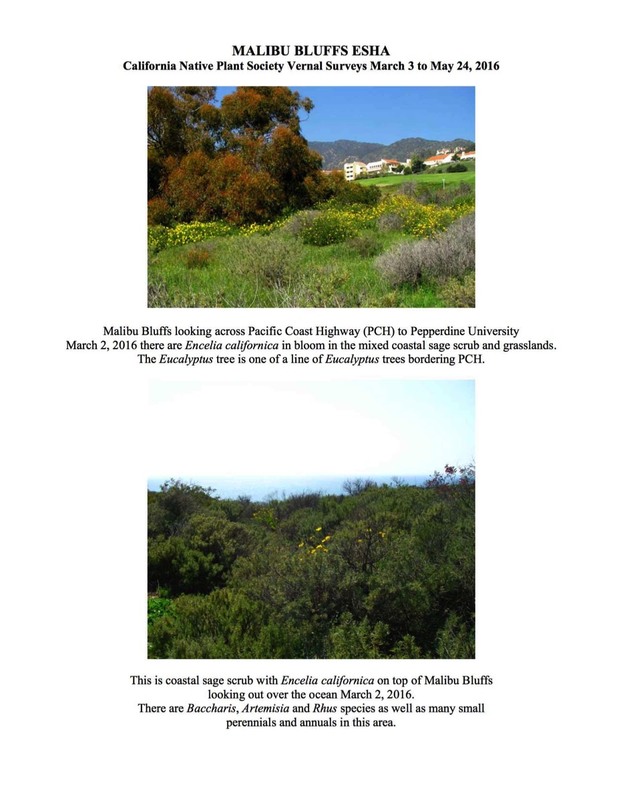 The two additional pages that follow on this website list the flora and fauna identified here on four springtime visits by CNPS surveyors. 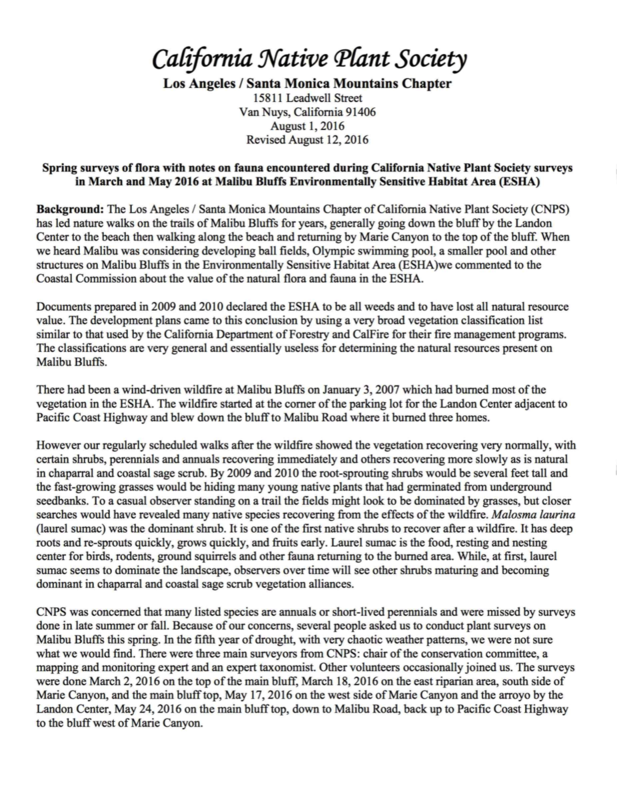 The lists are followed by the documents filed by CNPS listing the times and dates of the surveys plus some additional notes. 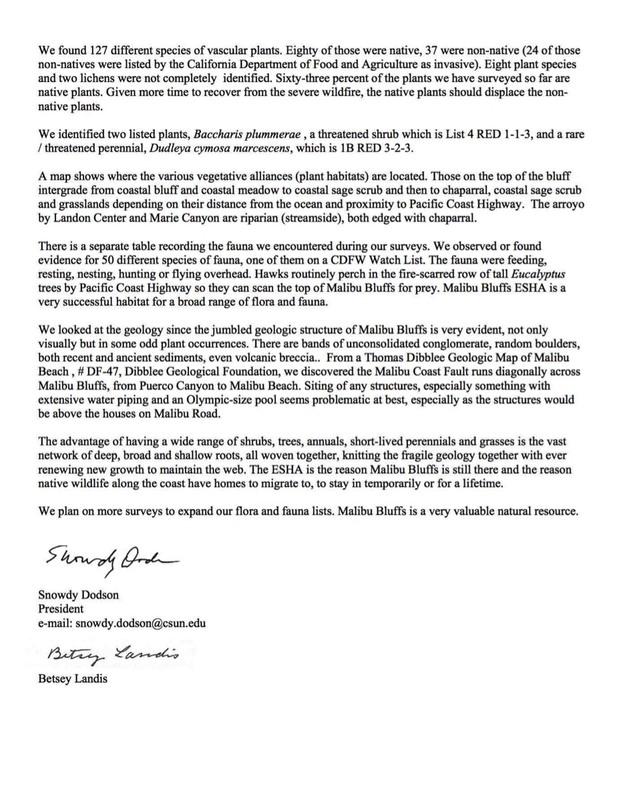 If you see a species that you believe to have seen at this location, you may very well be correct even if it is not listed on the survey. Animals and plants make appearances at different times of year, and even if they are present on the site it is possible that they were dormant, hidden, or migrating on the specific days of the surveys. To see the lists of plants and animals, hit the "Next" button or click on the appropriate heading (either "Plants" or "Wildlife," which you will find nested under this section.) in the navigation menu at right.